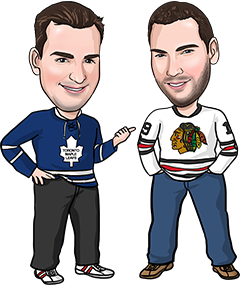 Our hot streak continued last night with 2 wins and a push, bumping us to 8-1-1 on our last 10 NHL Tips. We did have a little luck on our side as both the Bruins and Habs won in shootouts. Boston’s win earned us a push since we had the B’s on the -1 puck line to reduce our risk. Our other win was in Detroit where Anaheim dumped the Wings 4-3. Detroit just can’t seem to win at home, something to keep in mind for the next time the Red Wings play at Joe Louis Arena. There are just 4 games today, and one begins at 3 p.m. between the Rangers and the Senators. We like New York in that game, but there isn’t a ton of value in the -140 betting line, so we are passing on that one. We leaned Calgary to win in Carolina today as well, but that game has overtime and shootout written all over it, so we’ll pass there too. Our 1 NHL betting pick comes in the Kings/Sharks late game, where we’ll try to improve on our 11-4 record in our last 15 NHL totals. Good luck! The Sharks’ offence is the big reason San Jose is on a 7-0-1 run in its last 8 games. The Sharks have scored 32 goals over that time, an average of 4 goals per contest. In today’s NHL, that’s crazy production. These forwards are playing with a lot of confidence right now. LA isn’t playing its usual excellent defence lately. The Kings have given up 2 goals or more in six straight games. They’ve got a decent offence (15th in the league) so it’s not asking a lot for them to get a couple goals themselves today. If each team scores 2, we’re guaranteed no worse than a push with this low total of 5. Add in the fact that LA might start Enroth instead of Quick in net, and we might be lucky enough to get Alex Stalock in net for the Sharks, and this Over has even more value.